Though I don't have a ColecoVision, I found this video on YouTube and thought it would be fun to share it. Don't blink, though, as you may miss something! I love that the voice over on the commercial says that you can play Atari 2600 games but the version of Donkey Kong on the screen is the Intellivision version! I really like how Coleco was not afraid to take chances when releasing games and add-ons. You'd have to wonder where they'd be had they not gone under. They might have been a significant challenger for Nintendo when they introduced the NES. Very nice thought! I always wished for the Intellivision adaptor. Maybe if they would have competed against Nintendo it would have been a real add-on. I think they might have come out with a console that would have been better than the NES, actually. What you have to remember is that Coleco didn't actually create the ColecoVision, they licensed the MSX technology and turned it onto a console. I suppose the next logical step for them would have been to license the MSX2 hardware and then turn that into a console too. Would have been cool to see Atari, Coleco and Sega taking on Nintendo. Might have forced Sony to jump in sooner. 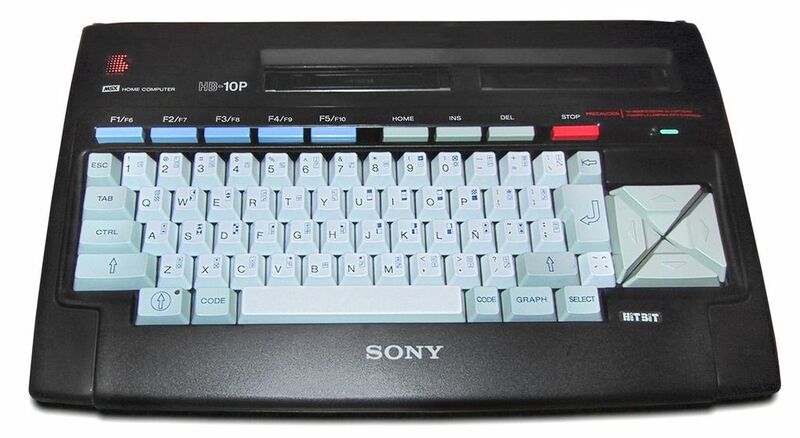 Well Sony were one of the creators of the MSX, which of course became the Coleco! There is also a Sony version of the CD-i too! Cool! I did not Sony was into hardware back then. Just remember the Walkman and some of the Sega CD games they released. I guess that was the trend of the times. Even Atari did that, right? The Lynx wasn't really created by Atari.